Mickey Wright is one of the great woman players of all time. 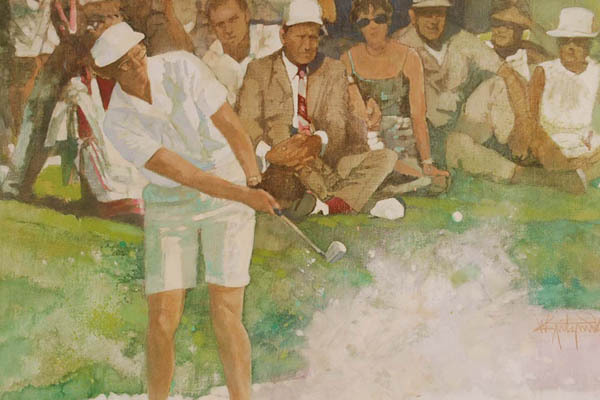 With a swing noted by Ben Hogan to have been the best in golf, Wright was a player that transcended the line between men and women in the game. She became a member of the LPGA tour in 1955 and won thirteen major championships and 82 LPGA Tour career events. She is a member of the World Golf Hall of Fame. puts her second on the all-time win list behind Kathy Whitworth who won 88 times. Thirteen of her victories were in majorchampionships, which places her second to Patty Berg who won fifteen majors. Wright topped the LPGA money list for four consecutive seasons from 1961–1964 and made the top ten on the list thirteen times in total between 1956 and 1969. Wright won at least one LPGA title for 14 straight seasons, from 1956 to 1969.